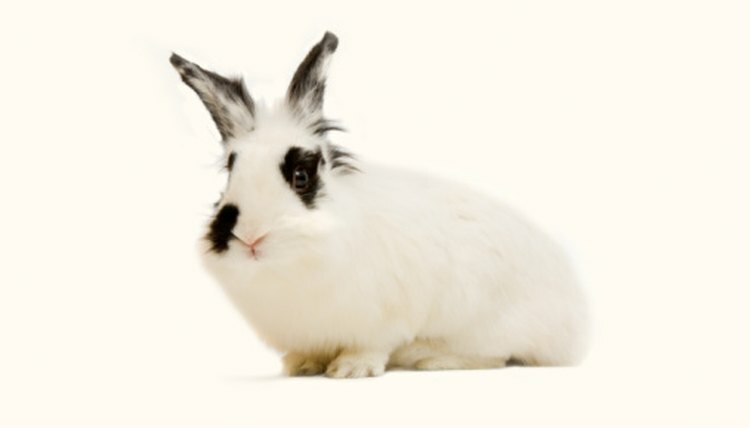 Bumblefoot is a medical condition affecting mostly small pets, including mice, rats and rabbits. Animals who live in cages can develop bumbles, or areas of inflammation, on their toes dues to the pressure of the metal caging. The inflamed areas are painful and can produce open ulcers or sores. The medical term for bumblefoot is ulcerative pododermatitis. Treating bumblefoot at home requires giving a lot of attention to your pet. Lay a plywood board or smooth mat in your pet's cage to eliminate the pressure points created by the open wire of the cage floor. Pad the cage with cedar shavings if modifying the floor with boards is not possible. Wash the animal's feet with antibacterial soap and warm water to keep the bumbles clean and free of infection. Bumbles can appear red and raised, almost like scabs. Treat bumblefoot with an antibiotic or cortisone-based ointment to reduce inflammation and reduce the risk of rupture. Washing and anointing the affected areas twice daily may prevent bleeding or other drainage as the bumbles heal. Tea tree oil may be used as a natural alternative to hydrocortisone cream. Bring your small pet to a veterinarian if it ceases to walk due to bumblefoot or if the lesions bleed or drain pus heavily. The animal may require antibiotic medication to promote healing.